Here you have some photos from the event of Wednesday. 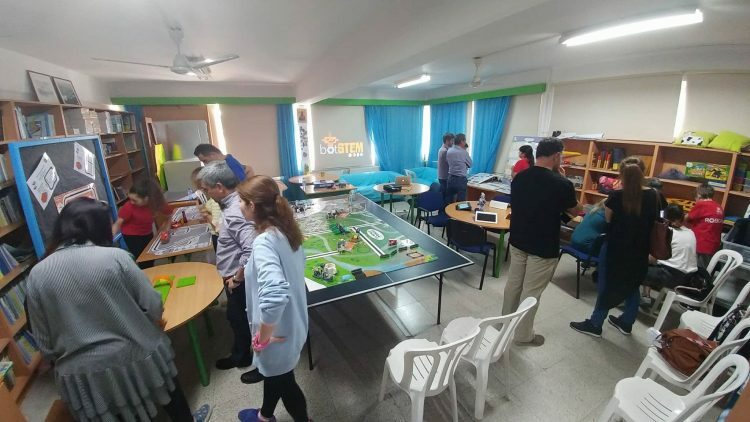 We organised a presentation on how to train your students to become robotics trainers for their peers, in which sixth-grade (primary school) students presented their work and then they trained teachers from other schools in robotics. The presentation and workshops were organised with the collaboration of the Pedagogical Institute, a Ministry of Education organisation responsible for in-service teacher trainings. The Pedagogical Institute disseminated our event to all schools, through email messages and a website (https://innovativeschools.pi.ac.cy/education-details-2017-2018/ks-edu-2018-students-teaching-robotics). A presentation on Botstem was also delivered by me. Next Thursday the 26th, we will attend a full-day ICT conference organised by the Ministry of Education, where the same group of students will present their work. It is an annual event with more than 200 teachers participating each year. Will keep you updated and send photos.